Inspire Your Readers with Great Content. It is said that there are over half of Internet users primarily using their mobile devices to access information on the web, so, it is very essential for you to make sure your interactive flipbooks are responsive. The easiest way to attain this brilliant achievement is to make a flipbook available for any device using prominent flipbook maker software. But, you may be confused with your selective tool, since they are so many flipbook alternatives on the market. If you want to get the best creation work and publish your issue online you should visit Mobissue and try this free and easy-to-use page flip software right now! If your content is accessible to a wide variety of devices, it will means that you can reach a wide reader. Meanwhile, this easy adaptable way extremely helps to save the users’ time. Consider the types of devices your audiences typically use to and how your content will appear on their screens. Well, when using Mobissue solution to facilitate your flipbook, users would be allowed to import the destination PDF files and concert it into page flip digital flipbook quickly. Whether you want to create brochures, catalogs, magazines, trade publications, marketing materials or graphics, it will provide you with the ability to produce best works with highly visual experience. What’s more, this application give you the power to break up your stories with text and images. You will be easy to insert links, videos, audios, flash and other multimedia to enrich any pages of your content. Be sure to include links to your website within the flipbook, so if someone is reading it, they’ll know where to find more of your content. 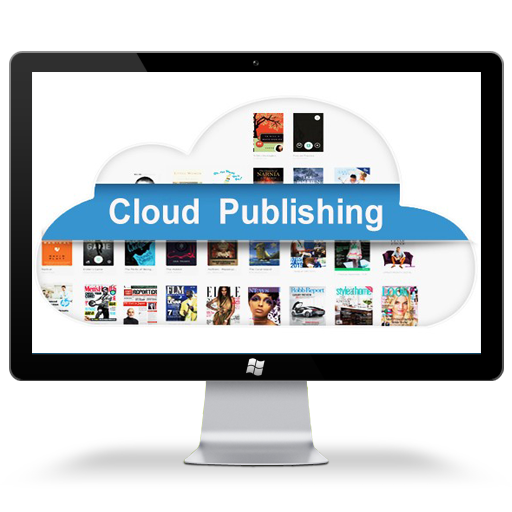 You can not only create page flip book from scratch, using Mobissue, you can also upload your book to its free online Cloud Platform. Spend extra time creating a template and a theme. You can directly select your appropriate template and theme form the pre-set items. Those bright and dynamic pre-set items will help to drive your readers to click, turn the page and read on. Background image/color/sound are also important for a digital publication, it can make your issue look more engaging. Be sure to manage the text content to make your page flip book SEO-Friendly. It is a great chance to control how Search Engines index your digital publications. For the Mobissue you can make full customization as you wish. Once you have uploaded your page flip book online Cloud Platform, you’ll be able to share your animated items quickly with share button, you’ll notice that them can be read from on those social media like Facebook, Twitter, Google+, LinkedIn and more – a good way to increase mobile engagement on your social networking page. You don’t need to make any option between PC and Mac system. Mobissue page flip software, based on the HTML5 technology, will make your flipbook available for any devices. So, you can easily process your design operation on both PC and Mac. Besides, you can view all your published items on mobile devices, including iPhone, iPad, Android devices, smartphone and tablet. Recently, one of my clients ask me to design an online magazine for promote his travel agent business. I started by looking at some flipbook maker sites like Joomag and Publitas in order to find a great method to handle my requirements. They gives the user the ability to convert PDF to page turning flipbook, but my client requirement was to make it easier for his customers to read his travel magazine offline that have audios and videos embedded, and allows them share on social media at the same time. The only one site that has capability of doing efficiently and grabbed my attention was Mobissue.com. You can go to visit this site from here. When I first looked at this flipbook software, I noticed that there is a free trial version for everyone. So I can freely sign up online and download for a desktop version. 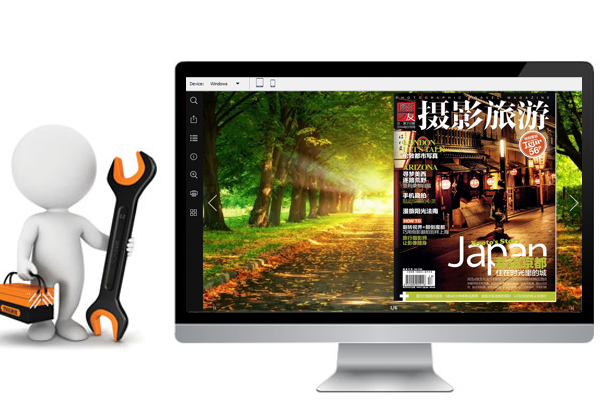 First, I chose to import my PDFs in the downloaded program and quickly convert it into digital magazine. With a perfect description by the pre-designed template and theme, the digital magazine was available with a layout that very close to what I was looking for. Besides, I found that even it is a free version, it still has the capability that allows you to upload 1000 flipbook online per month and the pages of per publication are up to 500. In addition, you are not only able to finish your PDF conversion work, you can also add notifications and Ads to the digital content, share the it on social networks, publish it for mobile reading. It is free to use, you can create as many as magazine as you wish. Supports both directly upload online and import in the program. Allow to add notifications and ads to the pages. Supports all devices, mobile and desktop. Insert videos and audios into your digital magazine. 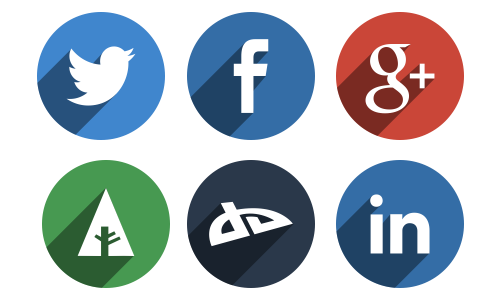 Fully integrated with many popular social networks, such as Facebook, Twitter, Google+, LinkedIn and more. Publications can be published to the mobile devices. Optimized for search engines like Google, Bing and Yahoo. When you utilize Mobissue to create your magazine, you can insert links into your magazine and embed your magazine into your website and blog. You can also push snippets or full articles out to friends on all forms of social media. Plus, you are allowed to publish your magazine online and create a great mobile experience for readers. 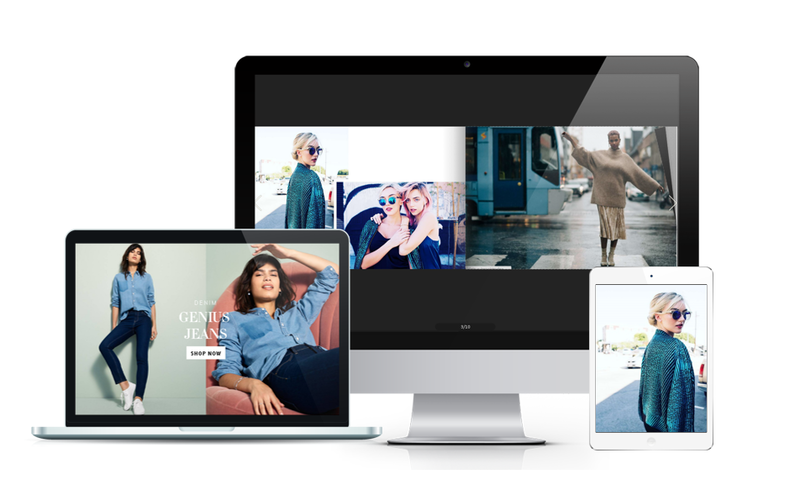 Of course, In addition to publishing your magazine to mobile devices, you can also upload you generated digital magazine to Cloud Platform for storing and sharing. 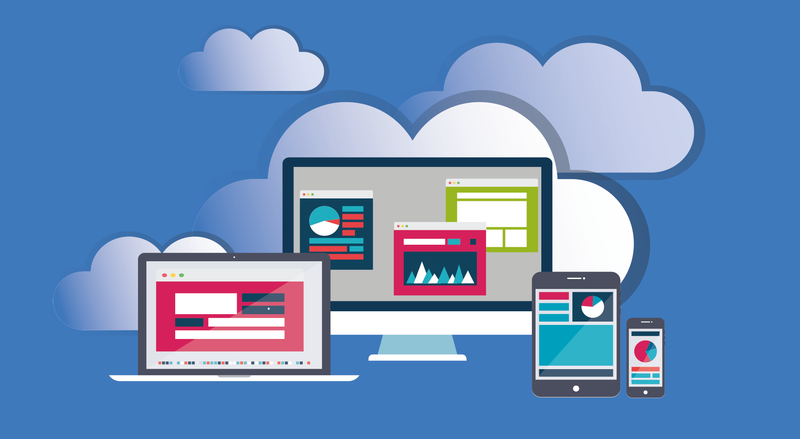 Moreover, you are capable to build SEO into your magazines because the Cloud Platform allows you to manage the text content and control how search engines index your digital publications by customizing the SEO setting. 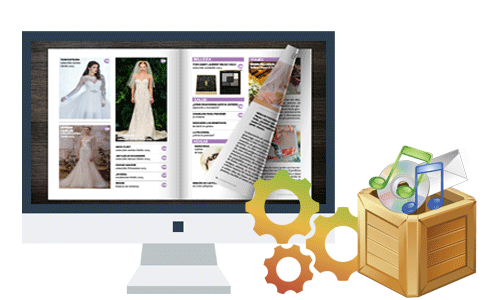 If you are like me and need to create better visibility for the magazine topics that you cover, Mobissue this free flipbook software will be the best option for you. 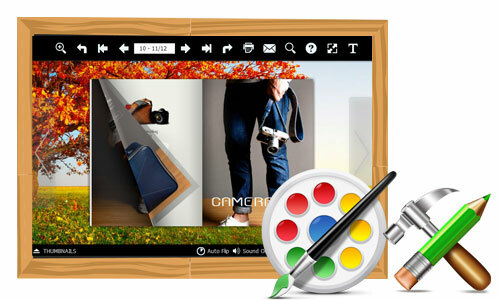 Flipbook nowadays has been a new and fashionable method to display ideas and express thoughts. Instead of traditional PDF, flipbook is more portable and creative. It can not only make you convenient to read but also let you enjoy a great visual experience. With the rapid progress of technology, it is so easy to create a flipbook. But if you want to create a distinct and professional flipbook freely, it may be different. You may believe that more time and energy are definitely necessary in your operation, and more money would be spent in your designing software.How luckily, flipbook software AnyFlip would be beneficial for you. 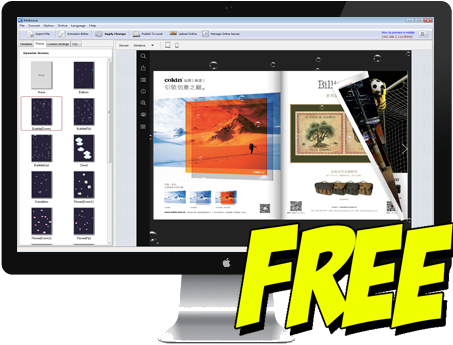 Anyflip is popular free flipbook maker which can help to convert static PDF into engaging page-turning flipbooks in minutes. It endows you with the ability to quickly make your standard flipbooks without any codes, and provides multiple beautiful pre-designed templates and themes for book decorating. Besides, it enables you to custom different settings and to edit rich contents so that you can easily make a stylish flipbook. Most importantly, all of these are free for you. With AnyFlip it’s just a piece of case to produce a flipbook. Choosing your destination PDF file, and then importing it into the program. Just in need of a few clicks, a stunning page-turning flipbook will be present in front of you. Meanwhile you can custom page quality settings as you want, including page settings, mobile page settings and PDF import settings. You can also set the page range as well. Besides, this all-in-one digital software serves to batch conversion that you easily create your digital flipbooks from multiple files at one time or merge multiple files into one. AnyFlip flipbook software offers a professional way to customize the look and feel of a flipbook. First, many beautiful pre-designed templates and themes provided to change background and layout, which can help to decorate a fresh and stylish flipbook, and the different scenes are for bringing flash animation effect to book. Additionally, you are able to customize design settings easily. For Instance, you can customize logo, toolbar, background settings, page number, page shadow, font settings etc. All of these functional settings will make your flipbook look and feel more gorgeous. Rich contents are truly can make your flipbook to be eye-catching. Thanks to the Edit Pages from AnyFlip, you are able to edit rich contents quickly as you expect. With Edit Pager, you can insert a variety of wonderful media into the pages of your book like movie, videos, audios, buttons, photo gallery, dynamic text, links etc. It could serve to improve the performance of your flipbooks. Generally speaking, Creating is a compressive matter. When you want to start your flipbook deign, it is better for you to choose your standard digital solution first. 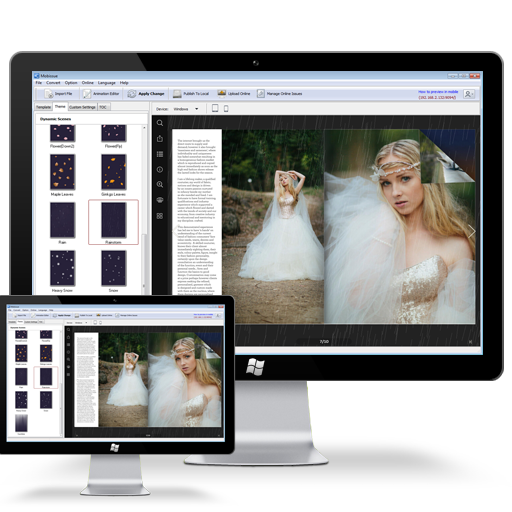 If you were still confused with your flipbook software, AnyFlip this powerful and economical program is definitely a good choice for you. 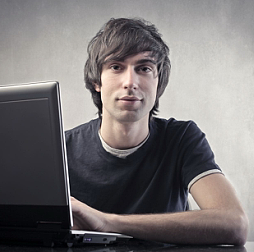 Mark Willson, a digital marketer who is concern with the latest technology about content marketing. Feel free to contact me here.